Season 2 of @WilsonGolf's #DrivervsDriver kicks off this week, and the one thing you need to know is - it's NOT about the driver. What do you get when you combine professional product designers, engineers, a bowling ball designer, a professional poker player, a rocket scientist (literally), a Beaver and a Wildcat, all on a quest for a quarter of a million dollars? 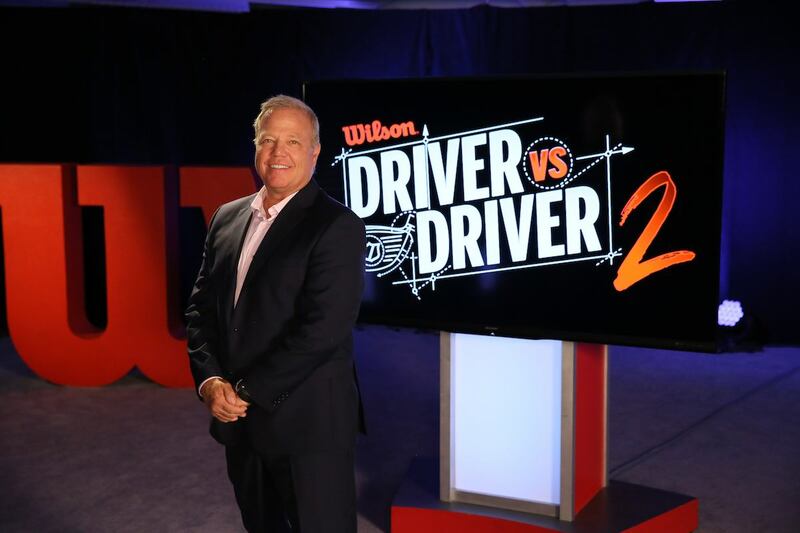 Why, Season 2 of Wilson Staff’s Driver vs. Driver, of course, which debuts tomorrow night on the Golf Channel. Whatever Driver vs. Driver is about, it’s not about the driver. Well, not completely. How, you may ask, can a show called Driver vs. Driver not be about the driver? Well, okay, it is about the driver, and Wilson says Season 2 will be heavily focused on driver performance, testing and competition. Driver vs. Driver will definitely give you your driver’s worth. The winning club will hit stores immediately after the series finale airs November 13th, and no doubt Wilson hopes to sell a bunch. But while you will see a lot more actual golf and prototype testing compared to Season 1, let’s be real: this program is not about Wilson going mano-a-mano with TaylorMade, Callaway, PING, Cobra or Titleist for the driver slot in your bag. First and foremost, Driver vs. Driver is seven weeks worth of high profile branding, aimed at getting people talking about, looking at and considering Wilson Golf irons, wedges, balls, putters and, yes, drivers. 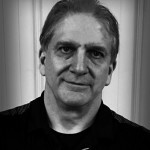 According to Clarke, more than 3.2 million unique viewers watched at least part of Season 1, so from that perspective, he considers the program a success. Clarke has been at the helm at Wilson since 2006. At that time, the once-proud market leader was drowning in a sea of red ink. The former forged iron dominator held a less than 1% market share in irons and wasn’t doing much better anywhere else. While you can’t call today’s Wilson a juggernaut, you can’t call it a joke, either. Over the last 12 years, Wilson has slowly – but steadily – worked its way back to be at least in the conversation in every category except metalwoods, specifically drivers. 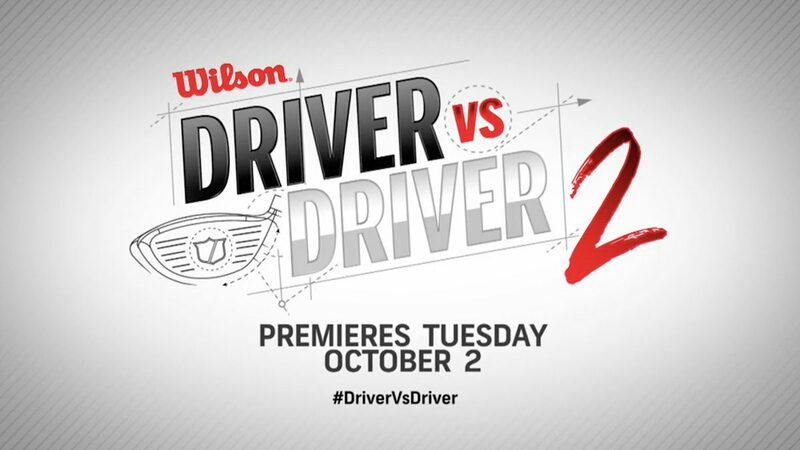 So yeah, Driver vs. Driver is about the driver, but it’s also about boosting the Wilson Staff brand, especially with that under-40 golfer who has no recollection of Wilson’s glory days. 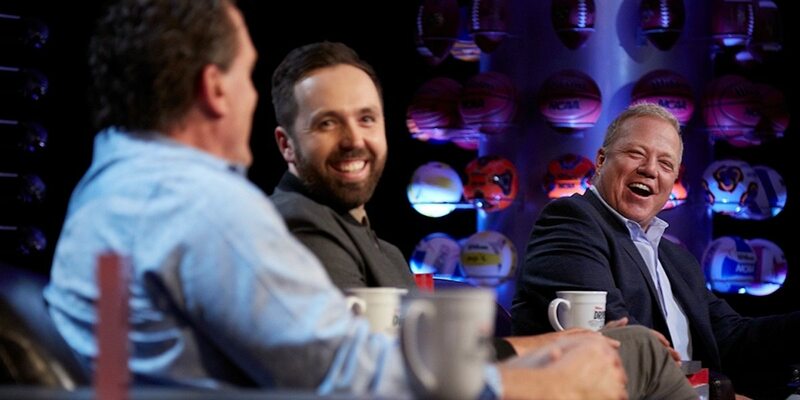 It should come as no surprise that Wilson felt Season 1 was a success – after all, they’re doing it again with another $250,000.00 first prize (Season 1’s prize was $500,000.00). From a golf standpoint, the show had its critics, and the USGA kerfuffle at the end is something Wilson certainly doesn’t want to repeat. Sure, Triton was innovative, perhaps a tad too innovative for the USGA’s liking. After the fanfare of Season 1’s finale, the USGA ruled the Triton to be non-conforming. One issue cited was a violation of the plain in shape rule, a ticky-tack foul solved by shaving a few millimeters off the back end of the sole plates. The other issue was a higher than allowable face CT when the moveable weights were aligned in a specific – and very obscure – configuration. That one was on Wilson. For his part, Clarke owns the mistakes. The Triton fixes were relatively easy, but even months into the golf season, people were still calling Triton “non-conforming.” What had been one of the most innovative product launches in memory turned into a punchline. A major gripe many had with Season One was there was a lot of fluff, but not a lot of actual golf and actual hitting of golf clubs. That’s will change starting tomorrow night. Clarke admits the focus on Season 1 was squarely on innovation, but looks, sound, and feel will be equally important this go-round. Triton’s sound took on an exaggerated life of its own in the online communities. It was loud, to be sure, but would sound differently depending on which soleplate you used. Don’t doubt for a second Wilson didn’t hear the cyber caterwauling. Wilson Staffers Ricky Barnes, Brendan Steele, Kevin Streelman and Troy Merritt (who won on tour with Wilson’s D300 driver), will all appear on multiple episodes, and Clarke says the sound of one particular prototype became kind of a running gag. The show starts with 14 finalists, but seven will be weeded out in Episode One. As the show progresses, the cast will be whittled down to six, then four and then, ultimately, to the two final drivers. Several years ago Clarke told me Wilson would never to be a PING, Callaway, Titleist or any of the other golf giants for one simple reason: those are all golf-specific companies, and Wilson itself is a sporting goods company. Wilson makes balls and sticks, clubs and racquets to hit balls with, so any major branding initiative is expected to benefit anything with the Wilson name on it, from basketballs, footballs and jock straps to baseball gloves, tennis racquets and, of course, golf equipment. And branding, at its core, is an inexact science. So while yes, in the short term Driver vs. Driver is all about the driver, in the long term it’s not about the driver at all. It’s brand building pure and simple. Did Season 1 work? From a golf sales and market share standpoint, the answer will be found in years rather than months. There’s usually very little movement among the sub-5% market share holders – they’re all striving to take just a little slice out of the backsides of those they’re chasing. But one thing you can say about Wilson Staff – the brand is most definitely a part of the premium golf equipment discussion. You couldn’t say that five years ago. And I’m not sure how this all fits in, but research often uncovers interesting factoids that bear watching. Earlier this month Amer Sports – the Finnish conglomerate that owns Wilson (and others) – received what it calls an “indication of interest” from a Chinese consortium to acquire the entire share capital of Amer for cash. Amer maintains no negotiations are currently taking place, and an indication of interest isn’t the same as a cash on the barrelhead offer, but certain inferences can be made, specifically that the Chinese group has both the cash and the interest to do this deal. Further, Amer owns companies that manufacture sports gear, apparel, and accessories, and has, in its last several annual reports, identified footwear and apparel as major growth opportunities. The lead dog in the Chinese consortium is Anta Sports, a manufacturer of athletic apparel and footwear with aggressive plans for growth. What might such a development mean for Wilson Sporting Goods and, in particular, Wilson Golf? That’s anyone’s guess, but it does give branding a new urgency. The Triton is a Hell of a Driver and anyone who thinks it is junk doesn’t know anything about Golf Clubs. Sure it was nonconforming and the sound is different and those things killed, but those who got the corrected one are pretty glad they did. I guess all the rich just bought the BS marketing the “biggest” pay to convince them it is stylish and makes them look like a Golfer. Well – one thing that MyGolfSpy pointed out, that I think really got to the core of it…is that Wilson got their name back out there with this reality series. It’s turned out to be a great watch for those of us who love to think about and try new equipment, and get a glimpse of the process. I know that it’s gotten me to the Wilson website quite a few times this season, where before the show, I was only ever demo’ing and purchasing TM, Cobra, Ping & Callaway. I even found myself hunting around online for a place to buy the winner from last year, regardless of the setback issues. Can any of you honestly say that if a buddy in your 4-some pulled out a driver from either season and kept striping it better than they had previously, you’d be like, “nope, not me, sticking with what I’ve got, that club is not innovative enough/too many conformance issues/Pres of Wilson should be fired” – whatever. Any one of us, would jump at the chance to improve our game for a nominal fee, regardless of the brand or governing body or any other reason. When Wilson chose to seek innovation from industrial designers outside of the company and industry, that was a risky, but great move. Too many brands are just copying each other (take Taylormade for ex, pulling the p790’s from PXG and then color choices for the new GAPR from starting to look a lot like Callaway Rogue – not exact, but moreso than any existing TM color). And this show has at least has Wilson looking at designs that are taking their queues from other industries like racing, aeronautics and or wherever else these designers from outside the golf space are pulling from. I bought a Triton for $45 bucks. Best golf money I’ve ever spent. Yep its loud but I hit it a long way. Wilson is a great company. In golf and in other categories. I hope they get into the mix with some of the larger brands. Very happy with my Wilson FG Tour V4 irons and V6 Gap wedge. Is any of the show being done live? So if they plan on having this driver in stores by mid-Nov, then they have already picked the driver and it’s being fabricated in China right now as the show kicks off. Show was filmed over the summer here in Chicago. Wilson had a women President that fired John Daly…all these years later they still cannot sell a driver…. I was really shocked to see that Wilson was doing this stunt again. 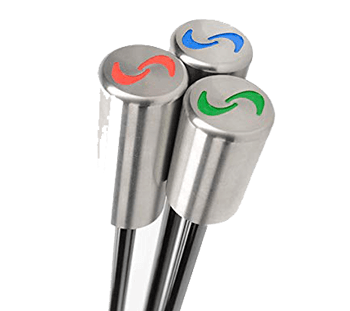 Not only did the Triton not sell until it was discounted to $79 (we sold out because the shaft was worth double), but it lowered the Wilson name and quality to the bottom of the barrel. Customer’s I spoke with, and those who watched as we have The Golf Channel on all day, laughed at this company. It was sad to see the company that developed Wilson Staff products, which were second to none at one time, fall into the abyss. I would have thought the CEO and stockholders would have fired the president and everyone associated with this disaster. 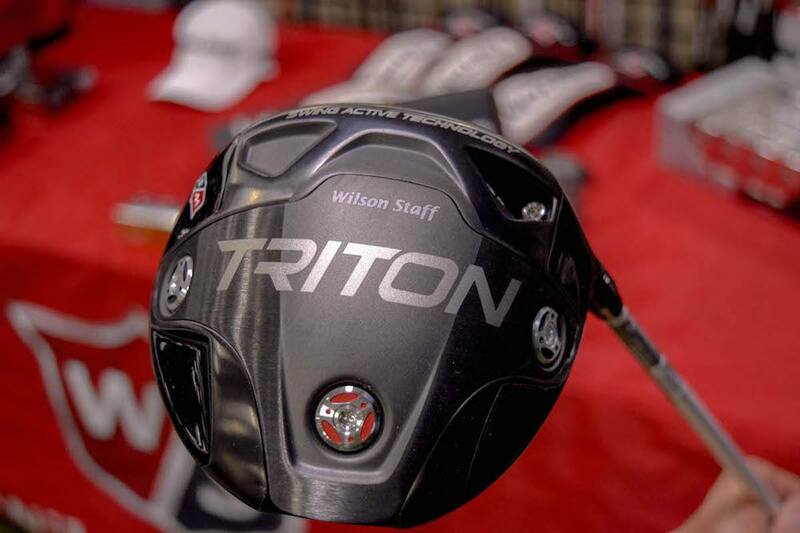 So is Wilson willing to take the piece of Junk Triton back in trade for the new driver or are they going to unleash another second rate driver on us…Hay Wilson here is an idea sell your new driver at Walmart that would be the place for your junk…. If anyone has been paying attention to MyGolfSpy golf club tests, they would realize that Wilson Golf has turned the corner and is VERY relevant today!! I’m considering a new set of irons and the C350’s keep jumping to the front of the line. I have said this so many times, but I would not want to be an OEM with todays clubs and the fickle market. Gone are the days of a black or charcoal headed driver making a splash on looks at address and performance alone. Wilson needed to do something different to separate them from the pack … but of course not too different. The Triton was waaaay too different and most better players didn’t even pick it up and waggle it in stores. So aside from Wilson getting much needed exposure, they need to come up with a product that all players are at least moderately interested in. Not something that will make them want to replace their Rogue, M2, F8 or G400 just something that at least is in the game. But straddling that line of different but not too different when your target audience says things like “I won’t play a club with sole graphics that doesn’t suit my sense of fashion” has to be absolutely maddening for OEM’s. Trenton drive was a disaster, and shortly after the conforming release came out you could by the damn thing for $129. Some friend did, and said it wasn’t even worth that amount.. Hope this driver vs driver produces a decent animal this time.. The Triton was an interesting driver, other than the sound it wasn’t bad. It took a year for it to come down in price, but that is everything. Working at a local golf course, you get to see the clubs players leave behind. Wilson is a popular brand name and I still see Killer Whale irons and Prostaff clubs around. They have never shied away from innovation, from the half graphite/half steel combination clubs to the clubs they produce today. And great players have lent their name to their product, from Vijay Singh to Padraig Harrington and others on the PGA Tour. I am sure that they will continue to be a formidable company because of their diversity. Ricky Barnes would back that up with his play! I watched the first series, tried the Triton, and did not find it much better than my current driver. Also, it was a little expensive at the time. I have heard that Taylor Made is also up for sale. It will be interesting to see who can lure the Chinese into a deal. Maybe it will be a 2fur!! TaylorMade was sold last year to a management group, so I doubt they would be on the move so soon. Their CEO was speaking a few days ago about being able to put Tiger in play with his new TM clubs. I would think TM is set for years to come! wilson golf stuff is amazing. I am in the process of switching clubs, and wilson continues to amaze. I am so happy with the wilson gear I play. People need to give them a chance! Yawn. Another season that results in something that looks like everything else out there because design specs an innovations are limited by “conformance” and by conservative market/marketing. Between those two limitations, it nearly impossible to go outside the box. I’s like to see two categories, the traditional one and the batshit-crazy all-out designs and then compare the results at the end.